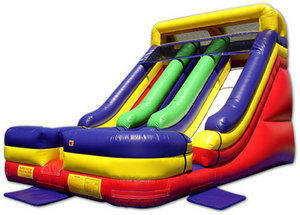 Double your Fun with our 18' Double Lane Dry Slide! Great for Carnivals and Fairs! With 2 slides, you can double your guests or send them off on a race!